Walk In Clinic Palm Springs / Forest Hill Blvd - Open on Sundays! Fast, friendly Emergency Urgent Care Walk-in Clinic for Palm Springs, Lake Worth, Palm Shores, West Palm Beach, River Bridge, Lake Clarke Shores, Haverhill, Wellington, Lantana, and Greenacres’ residents. Urgent care centers and walk in clinics have become more and more popular among people with an injury or illness that is not life-threatening yet requires immediate medical care. We understand that while seeking out medical help, it’s important to make the right choice. If you are looking for a reliable walk in clinic in Palm Springs area county that will meet your expectations, you don’t need to browse the internet any longer! What conditions does the walk in clinic in Palm Springs / Forest Hill Blvd treat? 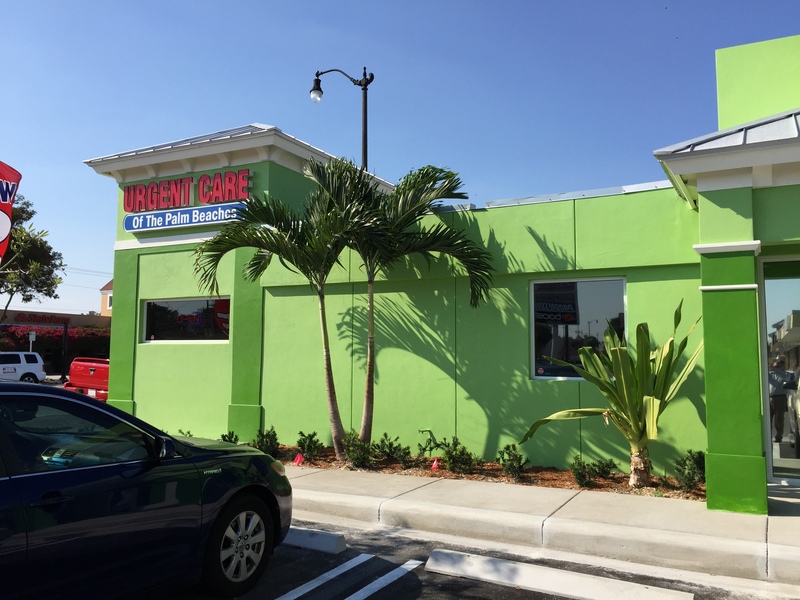 Our walk in clinic offers urgent care, diagnostic services, and treatment of various medical conditions and chronic illnesses for patients in Palm Beach County. View the contact information for all 3 of our locations in Palm Beach County. There is no need to make an appointment, as you can literally just ‘walk-in’. However, there is still the option to schedule an appointment, if you would prefer. We offer affordable rates for non-insured patients. Call us today to find out about our rates for patients without health insurance. Please remember that you will receive a discount for future visits after your first visit (for cash paying patients). When should I go to urgent care, or a walk-in clinic and when to choose the Emergency Room? Walk-in clinic, urgent care, and medical clinic seem like interchangeable terms, but they refer to different healthcare institutions. It is important for patients to know when a particular practice is appropriate—and when it isn’t. What characterizes these facilities? Find out which facility is right for you, so you know where to go when you are ill or injured. A walk-in clinic is simply a healthcare provider that allows you to come in to be seen and treated by physicians and /or nurse practitioners. Walk-in clinics, particularly the walk in clinic in Forest Hill, offer high-quality medical care that is fast, convenient and affordable. At a walk-in clinic, a healthcare provider will diagnose and prescribe medications to treat some common, but not serious conditions, such as colds, flu, allergies, and strep throat. Some walk-in clinics, including the walk in clinic in Forest Hill/Palm Springs, provide some preventive care, such as vaccinations, school physicals, or screenings tests, alongside the other services listed above. Also, these clinical services are less expensive than those at an urgent care center or an emergency room – costing as little as the patient’s insurance office co-pay. The difference between urgent care centers and walk-in clinics can differ widely. Generally, urgent care centers treat patients whose illnesses or injuries are more serious, but not life-threatening, and require immediate medical care. For example, cuts requiring stitches, a suspected fracture, broken bones, a minor asthma attack, burns, or other non-emergent conditions that medical clinics are unable to handle. 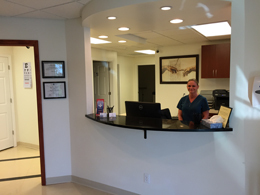 Additionally, urgent care centers, including the urgent care center in Palm Springs, are more advanced than walk-in clinics as they often provide on-site X-Rays and laboratory services. Also, most urgent care facilities have more qualified staff with at least one medical doctor available. However, a patient is often initially seen by a nurse practitioner or physician assistant. Urgent care in Palm Springs always has a physician available to see patients at any time when the doors are open – even without an appointment. What’s the difference between urgent care and the Emergency Room, and when to choose ER ? There are a number of differences between urgent care centers and the Emergency Room. First of all, most ERs are attached to a hospital and open 24/7. Moreover, the ERs usually work on a triage system, which means the most life-threatening injuries are treated first. In other words, if you don’t have a life-threatening injury, you will most likely have to wait, even for hours, to be treated. According to The National Center for Biotechnology Information, around 50 percent of the diagnoses at Emergency Rooms could be managed by urgent care centers. If your injury or illness is not severe or life-threatening, visit Palm Springs Urgent Care. There you will receive not only high quality care, but also you’ll save your time and money. The average patient waits 15 minutes or less at our urgent care! What’s also important is that the Emergency Room requires more advanced technology and extremely well trained medical staff and surgeons to diagnose and treat life-threatening conditions and injuries. Therefore the average ER visit costs significantly more, than at an urgent care center. Another thing worth bearing in mind is the fact that, unlike in an ER, the turnaround times in our center are less than 20 minutes. Plus we expand our list of in-network insurances on a regular basis. To verify your insurance, please contact our friendly staff which will assist you. Having both a walk-in clinic and an urgent care centre under one roof makes life more convenient for you and what’s more, provides continuity of care too. Furthermore, all of your medical records will already be on-site and in our system, which will help the doctors and medical personnel have a better understanding of your general health and the current condition. For more information about our walk-in clinic you may wish to Read our Online Reviews or Contact Us.